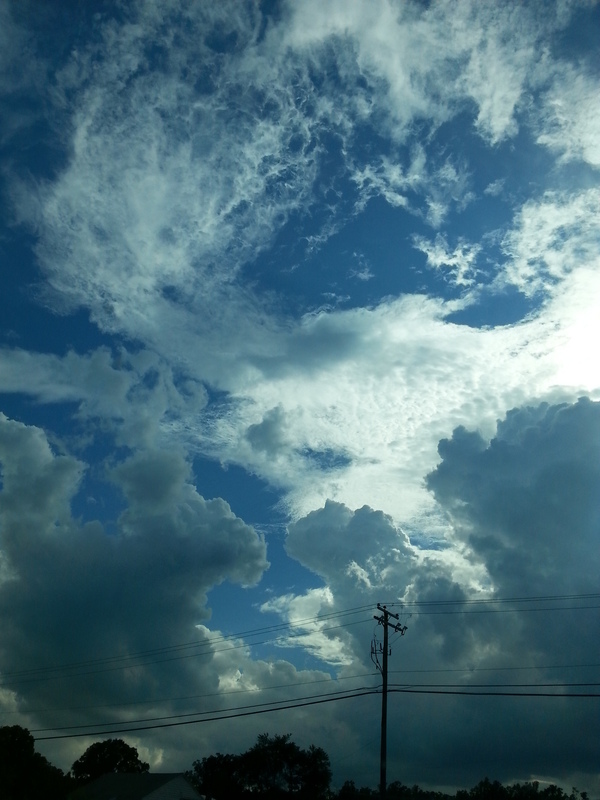 High Clouds, Low Kicks | Robert Mitchell Jr.
Driving home from work last night, the sky was amazing. I felt as though I could roll down the window, unclip my seatbelt, slide out the window, and soar like a blue jay into swirling clouds illuminated by the sun. Are birds not angels? If a bird were to come and light upon our hand and allow us to caress its wing, could we smell the dew of the heavenly clouds or taste the electricity of coming storms? What unknowable, mysterious and majestic secrets must the songbird know? Dumbbells: 4 x 15 of Military Press, Two-handed Squat Press, Two-handed Triceps Extension, Front Lunge, Swing-throughs. 350 Low Kicks (with full power and good form): 75 Lead Roundhouse, 75 Rear Roundhouse, 50 Lead Sidekick, 50 Rear Sidekick, 50 Lead Chassé Frontal, 50 Rear Chassé Frontal. 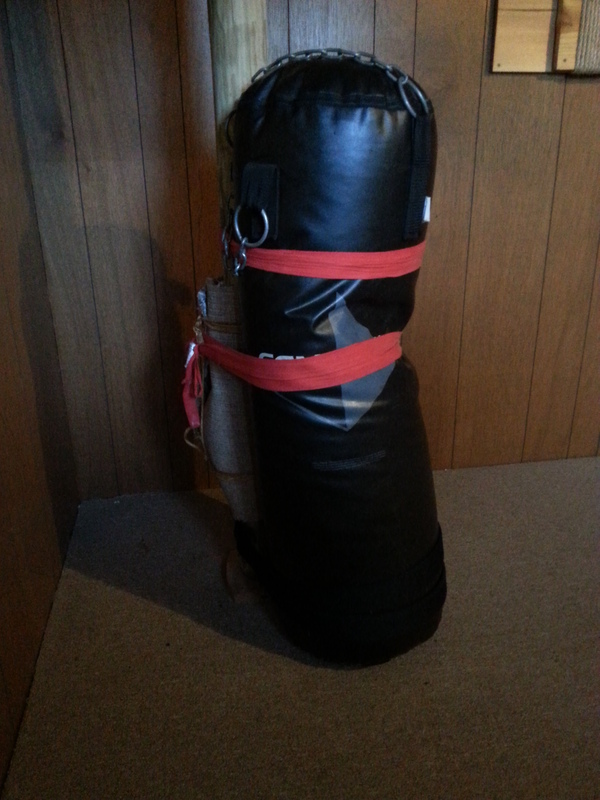 I strapped a heavy bag to my forging post with hand wraps and Karate belts. The lower of the two red hand wraps marks the sweet spot just over knee height. This entry was posted in Martial arts, Mysticism, Writing and tagged cabal fang, clouds, sky, WOD. Bookmark the permalink.